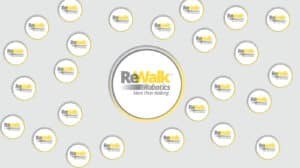 ReWalk Robotics has announced their first reimbursement from a private U.S. insurer through a Worker’s Compensation Plan. This not only marks a huge first step for the FDA-approved ReWalk Exoskeleton but also the beginning of mass proliferation of exoskeletons in the US. 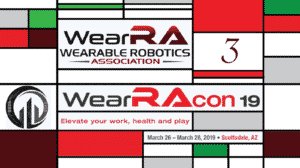 Marlborough, MA — January 22, 2015 — Exoskeleton leader ReWalk Robotics announced today the first reimbursement for a personal exoskeleton system by a private U.S. insurer. 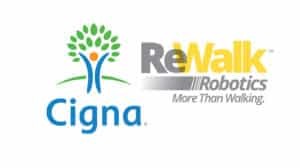 This coverage comes from a health plan contracted through Workers’ Compensation in the Midwest region, which has purchased a ReWalk Personal Exoskeleton system for one of its beneficiaries who was injured while at work. The recipient is a 29 year-old man who suffered a spinal cord injury at work. The man was paralyzed from the waist down during the accident and has been using a wheelchair for more than 7 years. He is in the process of completing the ReWalk training program and will bring his unit home this month. This reimbursement marks the first Workers’ Compensation payment for an exoskeleton system in the United States, and the second U.S. insurance payment to date. In June 2014, the James J. Peters VA Medical Center in Bronx, NY became the first insurer in the U.S. to provide reimbursement for a ReWalk system to an Army veteran from the Vietnam Era. ReWalk worked extensively with a case manager overseeing the recipient’s request for purchase. It is through the diligent efforts of the case manager that the recipient will be able to bring his exoskeleton home. ReWalk is a wearable robotic exoskeleton that provides powered hip and knee motion to enable individuals with Spinal Cord Injury (SCI) to stand upright and walk. The system provides user-initiated mobility through the integration of a wearable brace support, a computer-based control system and motion sensors. The system allows independent, controlled walking while mimicking the natural gait patterns of the legs. ReWalk is the only exoskeleton system cleared by the FDA for both personal use as well as use in a rehabilitation setting in the United States. ReWalk has also received regulatory clearances for their systems in several global geographies including: North America, Europe, Asia, the Middle East and Australia.